Instead of cumbersome rigid foam board slab insulation contractors and architects are seeing the value with closed cell spray foam. The benefits are clear: no seams, a monolithic mass of insulation, vapor and air retarder incorporated and the compression strength is superior to foam board. The foam is installed in a day, fully walkable soon after and can the concrete can be poured the next day! 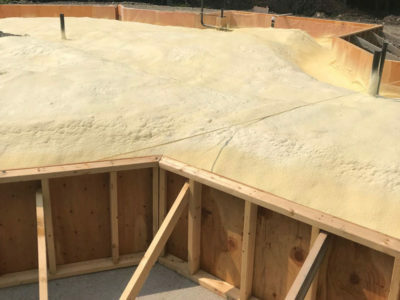 To learn more about the process, check out this detailed article from JLC: Insulating a Slab With Spray Foam by Mike Pindell. What is the cost you are thinking? The closed cell foam is regularly less expensive than traditional foam board, which is labor intensive. 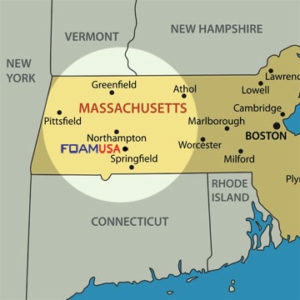 Closed cell foam is less cost with more performance and this equals value. The pictures show it all. The insulation is smooth, seamless and able to contour to all foundation profiles. The closed cell foam can also be used on the exterior of foundation walls. The benefits are: no damp proofing required, no mechanical affixing of foam board, built in drainage plane. 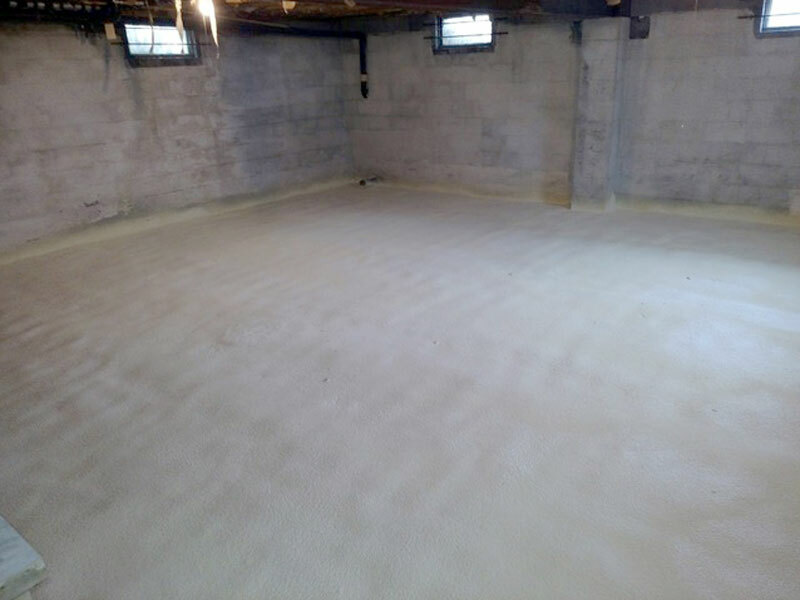 Contact us today to learn more about the great advantages of closed cell foam for foundation and slab insulation. 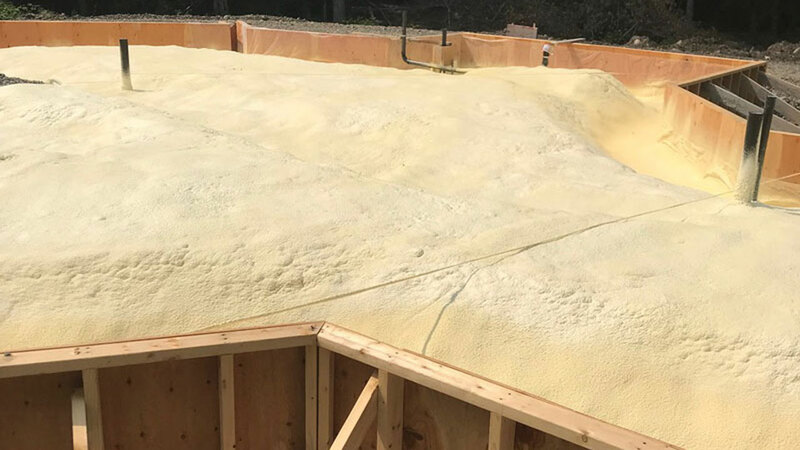 By Mark Lantz|2018-09-18T21:25:21+00:00September 18th, 2018|News|Comments Off on Under-Slab Insulation – There’s a better way with Foam USA!